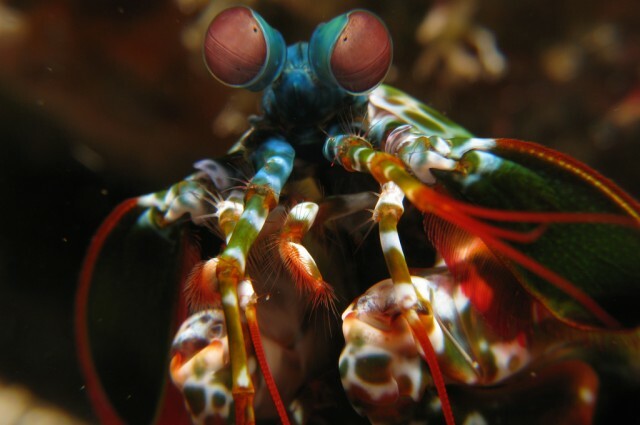 You are at:Home»News»Mantis shrimp see things differently…literally. Mantis shrimp see things differently…literally. Mantis shrimps are the tiny, colorful badasses of the sea. Not only do they have an unparalleled physical prowess, but their eyes have four times as many types of color-sensitive cones as humans. However, this doesn’t translate to unimaginable levels of color detection like it would seem. Mantis shrimp actually have a visual system that has never before been discovered in the animal kingdom. The study was led by Hanne Thoen of the University of Queensland and was published in Science. In the eye, cones are the types of cells that allow the detection of color. Humans have three types of cones, or “color channels”: red, blue, and green. Every color we are able to perceive comes from combinations of these colors. Our entire visible spectrum occupies wavelengths between 390 to 700 nanometers, which isn’t half bad, relative to some other animals. Mantis shrimp are able to detect light from 300-720 nm. 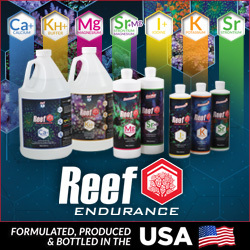 This range begins in the near-infrared wavelengths and spans through the entire human visible spectrum, finally tapering off in the ultraviolet wavelengths. Thoen et al. were able to determine that mantis shrimp detect an astonishing twelve different color channels, which should mean that they should have an exceptional ability to differentiate between colors. The experiment was carried out by training mantis shrimp to associate food with a particular color. Theoretically, they should have been more adept than humans at discriminating between different shades, but that was not shown to be the case. The task got especially difficult when colors were close together on the spectrum, such as red and orange. This made the researchers very curious as to why the mantis shrimp would have so many channels if they weren’t able to tease out different colors very well. They found that even though the mantis shrimp isn’t able to perceive color very well by our standards, they use an entirely different visual mechanism that has never been seen before in the animal kingdom. While the human brain uses color in order to provide contrast discriminate between intimate details in objects, the mantis shrimp evolved quite differently. Rather than discriminate between colors, the shrimp merely recognize the colors as they quickly scan their surroundings. Rather than their brains taking the time to process all of the visual information to distinguish minor details, they use the information to make quick decisions to recognize predators, friends, or potential food. Since many predators of the sea use plant, rock and sand cover for concealment, the Mantis Shrimp can detect an enemy’s color hiding behind several blades of grass. Because this type of visual system has never been seen before, there is much to learn about what is happening at the cellular level. Researchers speculate that gaining a better understanding of this new way of seeing could result in practical applications for modern cameras. High definition cameras take in a great deal of data to provide the clearest, most lifelike picture possible. It is conceivable that the mantis shrimp holds clues to making the photo-reproduction process information more efficiently.